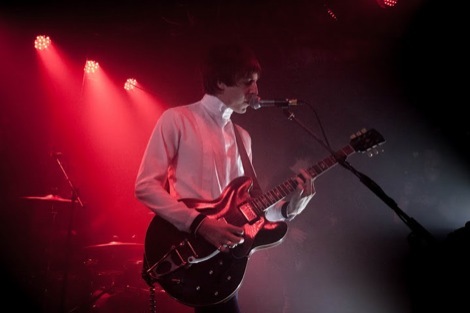 Miles Kane returns to the small stage where he made his name to honour grassroots music, Getintothis’ Harry Sheriff reckons this kid’s definitely got a future. 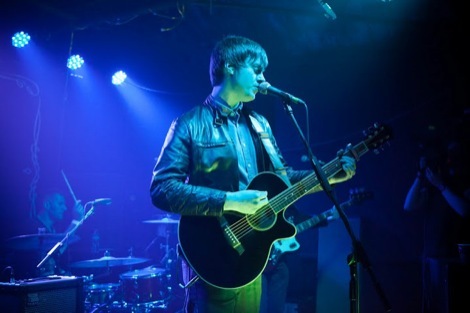 The afternoon of his gig in The Zanzibar, The Squirrel from the Wirral also decided to do an impromptu acoustic gig at one of his favourite Liverpool haunts Heebie Jeebies. The room was lucky to hear new material including the Beatlesy ballad Out Of Control, which is inevitably going to be one of the strongest tracks off his second album Don’t Forget Who You Are due out June 3. In the evening at the JD Roots-sponsored affair, classic Motown and free Jack Daniels went down a treat, as did tight Wirral support outfit The Red Suns. A band that sound big but with refreshingly confident simple riffs. 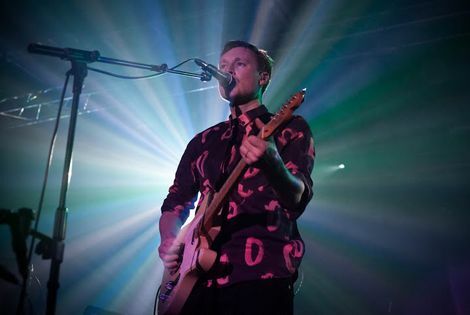 Another glaring positive being frontman Dave Dowler‘s vocals – reminiscient of Arcade Fire‘s Win Butler. 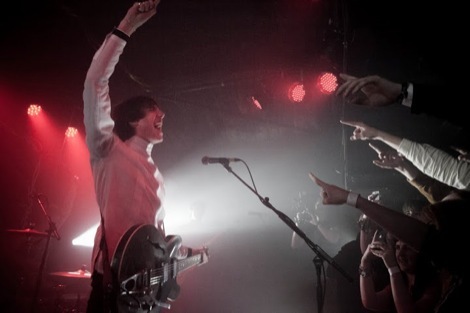 Miles seemed to have made a promise that not only was he going to give every song his all but that everyone would walk away having had a night to remember. “You’re gonna get it,” Kane declared before launching into the opening song that got the whole Zanzibar collectively moving. He’s undeniably a brilliant performer that always puts on a show and although he’s a marmite artist at present his work ethic can’t be questioned. He clearly loves what he does and even when overzealous fans accidentally push a microphone into his face he smiles it off and carries on with the song. We’re not totally convinced with the new tracks, though. Taking Over and the aforementioned Out Of Control are strong but Better Than That seems too indebted to things that have come before. A track that borders on a Bowie parody. 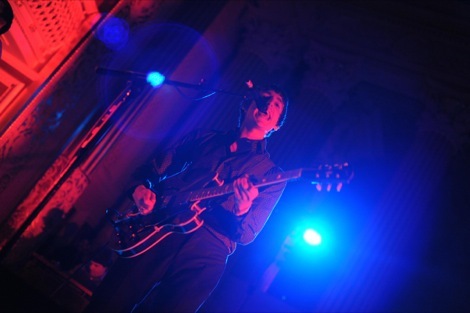 At 27 though, one half of The Last Shadow Puppets isn’t doing much wrong. He’s still developing. Bringing in Paul Weller, Ian Broudie and XTC‘s Andy Partridge for songwriting masterclasses is only going to pay off in albums to come. Don’t Forget Who You Are closes emphatically and soundtracks a quarter of the crowd making it onto the stage. It says a lot about the quality of the gig that a stage invasion was a fitting end. After the gig Miles was quoted as saying this was the best gig he’d ever played. A great night for an even better cause. 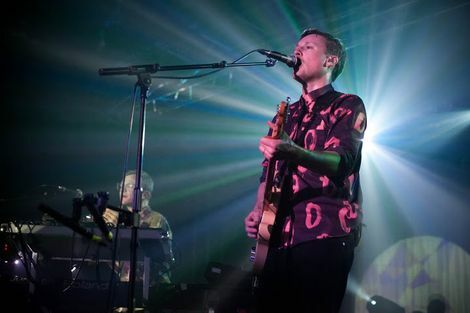 Pictures by Getintothis‘ Marie Hazelwood.